So why is Corozal Belize a great place to retire? Well I’ll try to answer the question from my perspective, and share with you the reasons my wife and I decided on Corozal some 7 years ago. We’d been coming to Belize since 1999 on vacation, mostly to the islands. 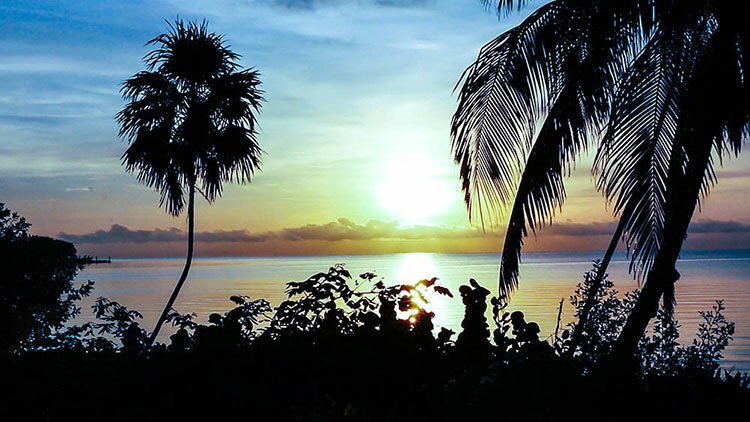 The islands are great for vacation, but we knew we couldn’t live on the islands for a number of reasons for us personally. Living here, we knew, would be a different equation in some regards. We looked at some different parts of Belize, but chose Corozal. The Corozal District receives a relatively moderate amount of rainfall, compared to other parts of Belize. With the Consejo peninsula being the relative driest, at about 55 inches of annual rainfall, Corozal receives about 60 inches of annual rainfall, with a significant portion of that (about 75-80%) coming in the “wet” season running June to November. December to May is significantly drier, so water conservation and vigilance against range fires is important during this time period. But with that said, even the weather during “wet” season is usually pretty nice, rains usually happen in “events” like tropical depressions, or afternoon or overnight thunderstorm buildups. But, much of the time, the sun shines and it’s business as usual. The temperatures and humidity typically run in the 80’s during the day, and 70’s at night. The winter will tend to run on the lower end of the range, the summer on the higher end, with some number of days running in the 90’s during the summer. In the summer, activities that require physical exertion tend to happen early in the day (5AM-10 AM), with the afternoons reserved for napping, reading, and other more passive activities. Evenings usually cool down once the sun has lowered in the sky, so you’ll typically see another burst of activity in the evenings. And then, there’s the breeze. Typically, the wind blows from the east- northeast during most of the year. The breeze blows mosquitos and other bugs inland, and the closer you are to the water, the more this is true. There will be days where the breeze doesn’t blow, and mosquitos will be an issue, particularly during the “wet” season. But these periods tend to last a few days or parts of days. And, you adjust accordingly by staying inside, using bug spray, and/or dressing accordingly. Lifestyle options in Belize are wide open. There are lots of friendly people, you can be as involved, or uninvolved, as you want to be. My wife and I are what I’d call “outdoorsy” people. We like to garden. We walk our dogs twice a day. We are social to a point, but like our privacy as well. We like to stay in and cook most of the time. But occasionally, I need some action. And occasionally, we need a good night out. We felt, and still feel, Corozal is a great place for us. We moved to Belize from Atlanta GA, where we could only garden about 9 months out of the year. Here, gardening season is year round. There’s always something blooming, some gardening chore to get accomplished. We tend to save the big projects for the winter when it is cooler, but even getting out for a few hours and gardening most every morning in the summer, is rewarding. There are many places to walk our dogs, and they have many friends they see regularly on their walks. We can ride our bikes around, although admittedly, that’s an activity we should be doing more of. We love to cook. A lot of our afternoons and evenings are consumed with cooking and dining, alone or with friends. Cooking in Belize can have some challenges. But, with some advance planning, adjustments and networking, you can have very good food choices here in Corozal. Friends and networking in Corozal, I must say, it’s been a very good experience. If you are the kind of person that has something to offer, and pulls their weight in give and take relationships, you’ll find people willing to share everything from plants and vegetables, to their expertise in areas like computers, mechanics, and so on. People share rides to Mexico and Belize City. The key here is to be a provider as well as a consumer, and limit your demands on your friends. People here tend to tire of over neediness. Some adjustment period is expected of new residents. You’ll find many people willing to help you, but spread it around, and don’t rely on any one person too much. Remember, they have lives too. There are also a number of charitable causes, and churches, you can be involved with, if you so choose. A number of people here work with or support some cause or causes here in Belize. We are involved with a loose network of ex-pats that find homes for pets, and do some occasional pet rescue/ spay neutering projects. As you meet people, you’ll find any number of things to be involved in, if you so choose. Having the ability to go over to Mexico, to shop at chains you recognize like Sam’s Club, Walmart, and Auto Zone, well I can tell you it’s big. Having some excellent restaurants in Corozal, but also at the Casinos and over in Mexico, well, also big. Home Depot is now in Chetumal as well, adding to the shopping options. There are limitations to what you can bring back from Mexico, and you’ll pay duty on certain items as well. But, once you learn the ropes, you’ll know what is, and what is not allowed. As with bringing back items from Mexico, there are limits to what you can bring back from the Free Zone. As I said earlier, occasionally, I need some action. For me, that action comes in the form of No Limit Texas Hold’em tournaments at the Las Vegas Casino in the free zone. For what it is, it’s good, competitive tournament style poker, and there are cash and table games, as well as slots. It’s not a huge Casino like in the United States, but is small, friendly, and well, fills the need. It is well run and the staff and management are very accessible. The Las Vegas Casino also has an excellent restaurant, with a range of foods including excellent Indian and Chinese menus. The Casino’s restaurant also has excellent steaks. There is another Casino, “The Princess”, which I’ve not been to. I’m happy with Las Vegas Casino, and it fits the need. “The Princess” has a sister property in Belize City, on the bay. 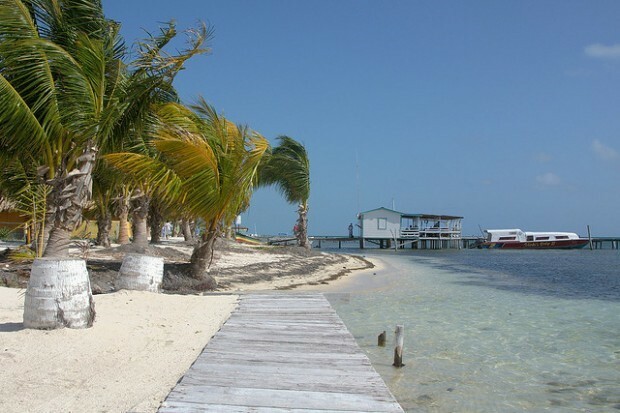 Corozal is nicely situated to take advantage of Belize, and also Mexico. If you will need to return to the States and/or Canada, or will have family coming down from time to time, the “Cancun option” is a nice one to have. Combining air travel through Cancun with the excellent ADO bus line, you can often beat direct fares into Belize significantly. Add the ability to spend a night or two on the Riveria Maya, and get direct flights to many more U.S. cities, having the “Cancun option” is a nice addition. 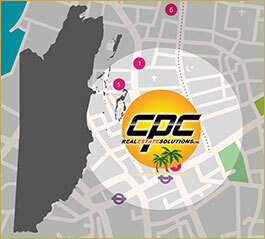 Sure, you can access this option from other parts of Belize, if you add time and money. 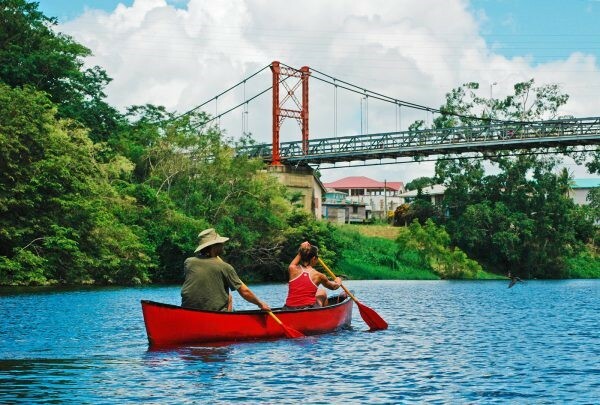 There are many options to access the rest of Belize from Corozal. The Northern highway makes day drives to places like Belize City, ruins, the zoo, and other points of interest very doable. And, there’s a water taxi, “The Thunderbolt” that runs daily from Corozal Town to Ambergis Caye (San Pedro), leaving at 7AM and returning from Ambergris Caye at 3 P.M. It’s a great option for family and friends, or if you just want to get out to the islands for a few days. Round trip, the rate is currently $90 BZD, ($45 USD). 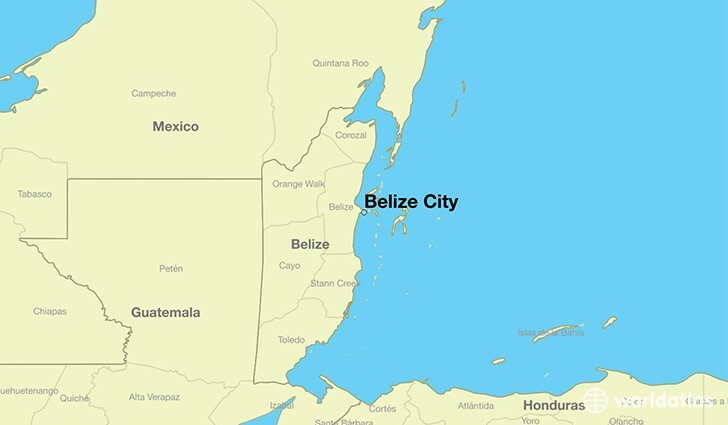 The two regional airlines in Belize, Maya Island and Tropic Air, make the islands and other parts of Belize accessible as well, albeit at a higher cost. But, there are times of the year where the airlines run specials, and roundtrips can cost as little as $100 BZD ($50 USD) to Ambergris Caye. Corozal has one of the more affordable costs of living in Belize. In both Real Estate, and consumer goods, There are certain things that are an absolute bargain. Cost and quality are both excellent. There are some excellent bacon and sausages being produced by Running W and Rhineland, at higher but still reasonable, prices. Excellent price, quality can vary based on time of year, but generally good. If you can drink local liquors, and smoke local cigarettes, you’ll find them both a bargain compared to prices elsewhere. There are a number of excellent mechanics around. And they’ll do a good job far cheaper than US mechanics. For basic services, you’ll find Belize cheap for routine office visits, etc. In many cases, cheaper than co-pays up north. And, the doctors and dentists will actually be the ones who meet with you and perform the exams! Lab work, when necessary, is readily available. Housekeepers and lawn maintenance typically run $50 BZD ($25 USD) a day. Painters, electricians, and other trades are far less than say, the islands and way below U.S. rates. Because they are imported, and subject to GST (General Sales Tax) canned goods are more expensive in Belize. Because there is no couponing, there aren’t any real deals to be had. Occasionally, the big stores in Belize City (Sav-U and Brodie’s) have deals where you get one item free with the purchase of another item. Both these stores and their affiliates have special discount days, where as much as a 10% discount is available. Sav-U also has a 10% discount card available, for a signup fee of $10. Well worth it if you do any shopping there at all. Is much higher per kilowatt hour than what you’ve paid in the past. Therefore, using energy saving bulbs, and being judicious about your electrical usage makes sense. You’ll probably settle on an internet speed that is far slower than what you had in the states or Canada. Internet in Belize is still under development, and the term “high speed” is a relative one here. It is not uncommon for people to use 512K speed (That’s about ½ a Meg) and be fine with it. Cost at that speed is about $48 USD a month. Television- likewise, US programming is quite a bit more expensive, if you live outside Corozal Town. But there are a number of options. Canadians can bring down a Shaw Direct receiver, and link it to their account, or that of a friend or relative in Canada. The quality of available beef has been on a big upswing of late. 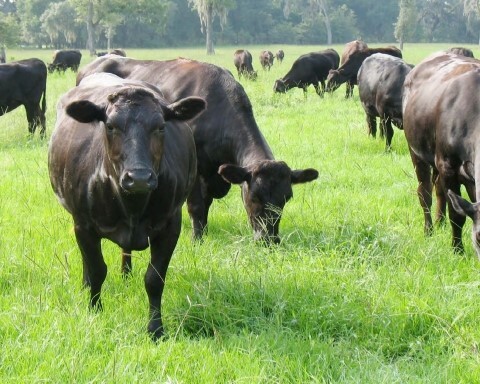 Realizing that there is a growing contingent of consumers who desire higher quality beef, several Belizean producers have stepped it up, and are producing some very good products. Notably, Running W and Rhineland are producing some great beef products, albeit at higher prices. There are good local butchers where you can also find acceptable cuts, and if you are a regular customer, might get access to certain cuts no widely available. Ground steak is excellent, and with some tricks in marinating and tenderizing, you can come up with acceptable cuts of beef. If you are a rummager, you’ll find a number of deals in Belize. A lot of restock/return merchandise makes it to Belize. There are a number of stores throughout Belize that carry this type of merchandise. There are always things for sale on a local circulation called the “Friendship List” which goes out approximately weekly to the expat community in Corozal. On it, you find events, announcements, items for sale, etc. But move quickly if you see something you want. Items tend to sell pretty quickly, and the first person to show up with the cash owns it. People’s life situations change, and often times people bring down items they later discover they don’t need. Hence, the “Friendship List” and stuff for sale. There was one garage sale about a year ago where I got the time mixed up, and I arrived an hour after it started, rather that at 8 A.M. when it actually started. When I did arrive at 9 A.M., it was all over...everything gone. Apparently I’m not the only Ex-pat rummager in Corozal! And, it can’t be ignored. A final, but important reason we chose Corozal was because of its relative protection from storm surge in the event of a hurricane. We wanted to be near the water. But, it’s the tropical Caribbean. Hurricanes are a reality. 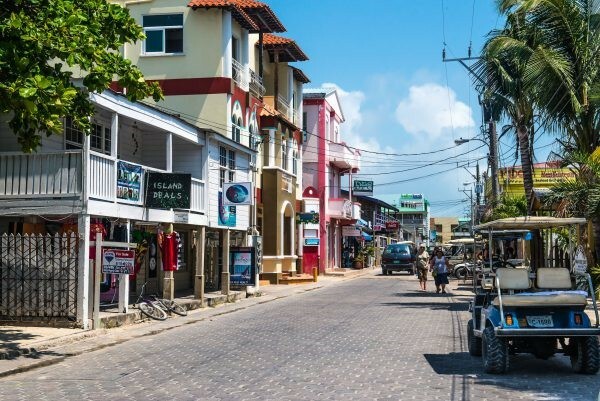 Being located behind the barrier island of Ambergris Caye provides Corozal with protection from the biggest killer and damage factor in most hurricanes. Storm surge. The water that piles up in the front wall of a hurricane can dislodge homes, and over wash coastal lands, killing and leaving carnage in its wake. Having travelled the U.S. Gulf Coast following several hurricanes, I knew we wanted no part of that. Corozal, while not absolutely immune to storm surge, is relatively well protected because of the blocking effect of the barrier islands, and the relative shallowness of the Corozal Bay. Storm Surge prefers deep and plentiful water to create massive buildups. During Hurricane Dean, which tracked to the North of Corozal, the water in the bay actually flowed out substantially, feeding the storm from the southern edge. While Corozal still suffered significant wind damage, for the most part it escaped any real water damage. The homes in Corozal are generally well constructed to survive hurricanes as well. Steel reinforced concrete is generally going to withstand even the most severe of hurricanes. There are a number of systems that are effective for protecting windows and doors. Wood frame houses, if properly constructed with hurricane straps in the rafters and proper bolting of the main sill plate to the foundation, also stand an excellent chance of surviving hurricanes. To date, in Consejo, no homes have been lost to hurricanes, although there has been some damage to facades, screened areas, etc, due to falling trees and limbs. But, all in all, the Corozal area has weathered hurricanes quite well. Well, that’s it, in a nutshell. I could go on and on about why Corozal was a great choice for us, and why I think it’s a great choice in general. But hopefully, this narrative gives you some insight into our decision. But, there’s no substitute for personal experience. Should you decide Corozal is right for you, our mission at Corozal Belize Properties is to help you find the right property that helps you enjoy Belize as much as we have.